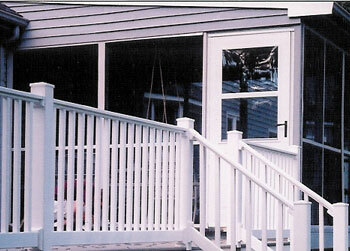 Airtite Construction is a fully licensed and insured construction and remodeling company, including being a licensed Lead-Safe Renovator Contractor in accordance with the new 2010 Lead RRP Rule (which affects home owners of buildings constructed prior to 1978), serving the Norfolk County, Massachusetts MA area since 1983. Specializing in room additions, kitchens and bathrooms (both standard and handicapped), replacement windows, siding, decks and finished basement rooms, we work to please our customers and transform your house into your Dream Home. Check out our Services for more project and services information. Being a small residential construction company allows us to focus personal attention on the individual needs of our customers. We have one project going at a time which means that we are on your project every day until completion. Learn more About Us and meet Paul Waite, owner of Airtite Construction. Customer referrals, and the neighbors who have watched a project from start to finish and just given us a call, is where most of our jobs come from. They are delighted with our professionalism, speed and accuracy in completing the project. We work to please our customers from the first meeting, to estimating, proposal, payment plan and final completion. Contact Airtite Construction today about your dream home project! Airtite Construction - Dream Home Specialists! Copyright ©2008 Airtite Construction. All Rights Reserved.